In Mid February 2012, going through a chest of old photographs at my father’s old house, I found the two old postcard albums, which once belonged to two of my p.grandmother Sally’s older half-siblings from her father’s first marriage: Gustaf Ekman/Samuelsson (1878-1952), and Gerda Ekman (1881-1973). The postcards were written between 1901 – ca 1930. 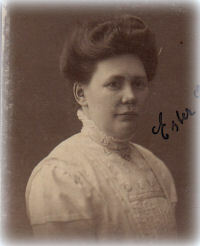 The larger collection has cards of all kinds addressed to Gustav; some of them written by Gerda. 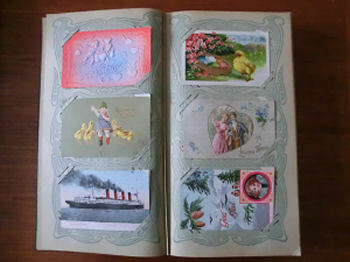 The smaller album contains mostly Christmas and Easter greetings and similar, addressed to Gerda. 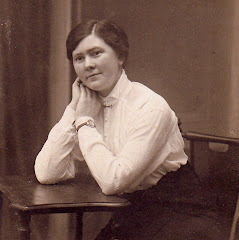 Since I know from my father’s family tree notes that Gustaf died long before Gerda, I conclude that when he died, Gerda inherited his collection of postcards; and after Gerda’s death in 1973, my grandmother Sally (1900-1979) inherited both albums. What I knew about Gerda and Gustaf since before was that both of them back in their youth spent a number of years in America. 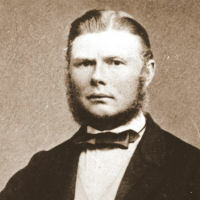 Gustaf later came back to work on the family farm with his elder brother Carl (after their father Samuel died). Around that time he also seems to have gone back to using the surname Samuelsson (which was his “birthname”). Gerda also returned to Sweden. At some point she entered into employment as chamber maid or similar to Estelle Manville Bernadotte, American wife of well-known Swedish diplomat Folke Bernadotte, related to the Swedish royal family. I think she remained with Estelle until her old age, and also received a medal for her services (she wears it in a photo probably taken in connection with her 75th or 80th birthday). Hoping that the old postcards might give further clues about Gerda’s and Gustaf’s life stories, I decided to go through the postcard albums card by card to see what I can extract from them and add up with my father’s and grandfather’s notes + old family photographs (most of those unfortunately without clue who is who or when they were taken). It is probably a good idea to also try and sum up now and then what I have found out/concluded, so this is an attempt at that. 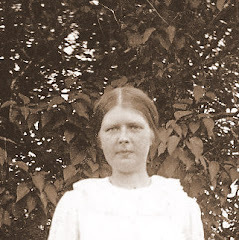 In 1901, at age 23, Gustaf was basically living at Storegården, the family farm in Fristad; with his father Samuel, elder brother Carl (Emanuelsson), stepmother Selma, young stepsister Hildur (Lundgren) (9) and baby halfsister Sally (my grandmother, born 1900). 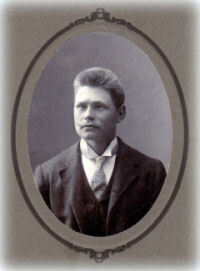 Periodically, Gustaf was instead staying at Odensberg near Falköping with his brother Oscar (Ekman), probably also a farmer, and doing some work for him. In the autumn, it seems Oscar had some project going on his farm requiring “filling” consisting of sawdust. Possibly, he might also have been asking their father for financial help in connection with this, but that is not quite clear. 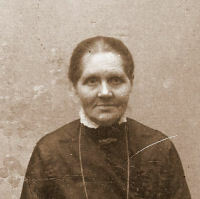 Gerda, in 1901, seems to have been staying with their older sister Emma (Wilander) and her family at Sörby/Floby, also near Falköping. Some time in the autumn of 1901 it seems Gerda had a period of illness, but recovered from whatever it was. Peeking forward among the cards, it seems that it was in the following autumn/winter (1902) that both Gustaf and Gerda left for America, not to return until around 1911. At Christmas 1902, Gustaf was in Pennsylvania and at New Year 1903, Gerda was in Chicago. 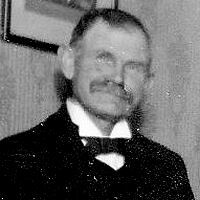 In the summer of 1911, Gustaf was back in Sweden at the family farm. 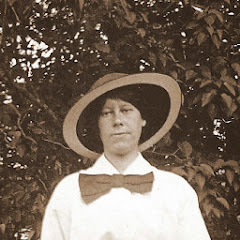 In 1913, Gerda was back in Sweden living in Ronneby on the east coast. I’ve also found postcard evidence that Gerda was in France (Lyon) in 1915. WWI began on 28 July 1914 and lasted until 11 November 1918 which means she was in France while the war was going on there. Estelle was born Estelle Romaine Manville in 1904 in Pleasantville, New York. She married Folke Bernadotte in 1928, in her birth town. 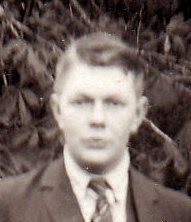 Between 1930-1935 they had four sons, two of whom died in childhood. Folke was assassinated in Jerusalem in 1948. Estelle remarried in 1973 (that’s the same year Gerda died!) and lived until 1984. Folke Bernadotte, Count of Wisborg (in Swedish: Greve af Wisborg; 2 January 1895 – 17 September 1948) was a Swedish diplomat and nobleman noted for his negotiation of the release of about 31,000 prisoners from German concentration camps during World War II. He was assassinated in Jerusalem in 1948 by the militant Zionist group Lehi while pursuing his official duties. Count Bertil Oscar Bernadotte of Wisborg (born 1935) married Rose-Marie Heering (1942–1967) and Jill Georgina Rhodes-Maddox. I note that when Gerda first went to America in 1902, Estelle was not even born yet. 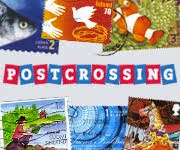 I’m still going to look out for references to Pleasantville or the Manvilles among the postcards. I also found one reference that said Folke and Estelle met on the French Riviera. I wonder why a negotiator who had achieved 31,000 probably predominently Jewish lives was assassinated by Jews. Because in 1948 he was mediating for the UN in the Arab-Israeli conflict. I suppose that particular Zionist group did not find his efforts to be in their best interest just then. I really should try and read a more complete biography some time. The details are very blurry to me.